In 2012 we started the "Hill Country Space Expo" in Marble Falls, Texas. See below for more info. On the right of this page is some of the support The Wreyford Family Foundation has provided across the USA. 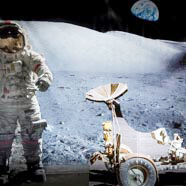 On September 13th – 15th we will have our sixth annual Hill Country Space Expo, this year’s event will be held at The Boys and Girls Club of The Highland Lakes, Marble Falls Unit located at 1701 Broadway St. Marble Falls, Texas. 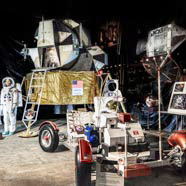 September 13th & 14th the Hill Country Space Expo is open for students and classes. Saturday the 15th we are open to the public, with a presentation and discussion at 2:00pm. Hours are 9:00am to 4:00pm, admission is free. In 2007 The Wreyford Family Foundation was one of the Executive Producers of the world premiere of Bill Pullman’s play Expedition 6 at the Magic Theatre in San Francisco. The W Foundation also had a space exhibit setup in an area of about 2000 sq. foot on the ground level of the Magic Theatre. This is when the W Foundation Space Expo was born. 2008 Fleet Week San Francisco The W foundation setup a space exhibit they called “Navy in Space” at Fort Mason. The Wreyford Family Foundation has helped and supported The W Foundation with both personnel and financially since we started the foundation. 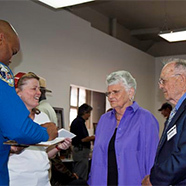 In 2011 The W Foundation started a space museum in Novato called The Space Station. It is located in the Pacheco Plaza, a shopping center located in the upscale Ignacio neighborhood of Novato.